The concept that guns are dangerous, much like any tool that is mishandled, is a given. If guns were as safe as a 3-week-old puppy, they would be about as useful in a self-defense roll. 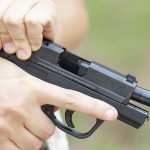 That’s why novices and experienced shooters should follow a simple set of firearm safety rules to avoid mishaps. 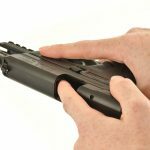 These rules, practiced by a multitude of military personnel and law enforcement officers, are the first things committed to memory before touching a service firearm. For this we turn to the late U.S. Marine Corps Lt. Col. Jeff Cooper, someone gun aficionados recognize through his writing and firearms training center, Gunsite Academy, in Arizona. I’ve trained at that facility and even visited with Col. Cooper’s widow. Cooper’s home sits at the center of the training facility, and instructors and students bustle about the complex daily. To say that loaded firearms are prolific at the school would be an understatement. 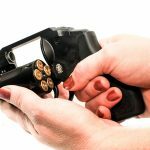 Col. Cooper’s universal firearm safety rules, or close derivatives, have become the safety mantra of the firearms industry. Let’s look at them in closer detail. Every gun deserves an air of respect, and the best way to exhibit that is to always treat every gun as if it were loaded. Never assume that a gun is unloaded. This holds true even when you handle a firearm without shooting it, like during maintenance and cleaning processes. The same mindset applies when you conduct dry-fire practice drills. Another good procedure is to have another shooter verify that the gun being handled is unloaded. When handling a semi-auto pistol, you must first place your trigger finger straight along the frame, thus keeping it off the trigger. Next, remove the magazine to ascertain that it’s empty. If the magazine has cartridges in it, set it aside before pulling the slide back and locking it back manually with the thumb of your dominant hand. When you have verified that the gun is empty, it’s safe to handle the gun for any task. Although you’ve determined that the gun is safe, always be conscious about the direction the muzzle is pointed in. The phrase “willing to destroy” focuses you on the seriousness of muzzle control. 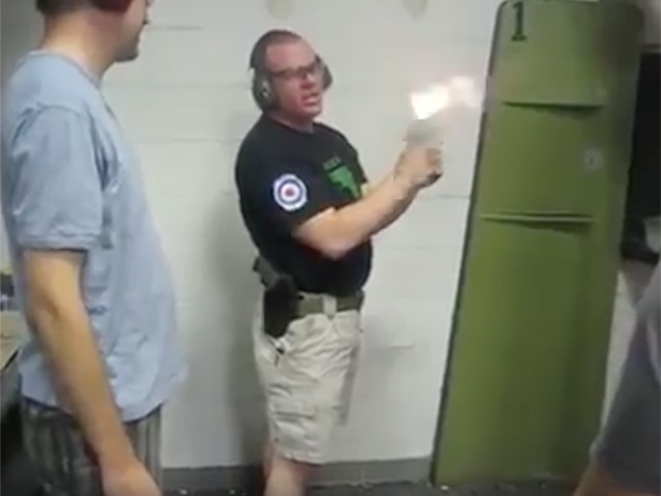 Of course, it’s impossible to keep a firearm pointed at its intended target every single moment. In practicality, when it’s not aimed at a target, the gun should always be pointed in a direction so it will not harm anything if a round went through the barrel at any moment. 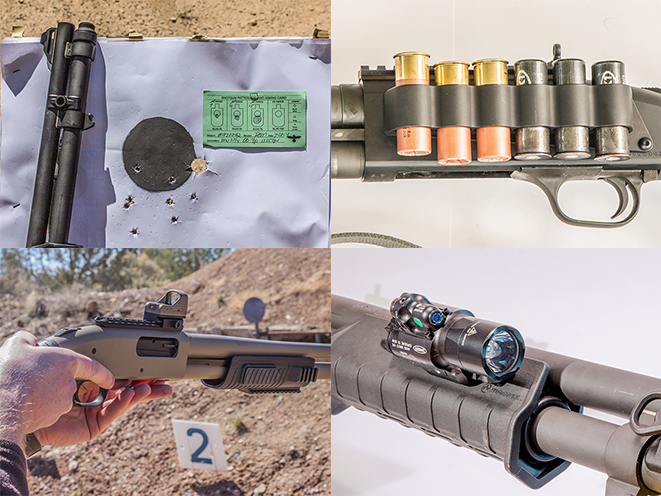 You can’t always point a firearm downrange when not shooting, so where should it point? Some say at the ground, but others tell novices to keep their gun pointed skyward. Either answer can be correct—or not. Pointing a gun at the ground can be safe if the ground is soft enough to absorb a round. However, if the ground is hard like concrete, a ricocheting bullet can continue traveling in a harmful direction. On the other hand, always pointing your gun at the sky might not be ideal, either. A bullet fired into the air will eventually return to earth, and people or property might be in its path. Let’s say you are in a two-story house and are moving from room to room on the first floor. What’s above your head could be a lot more valuable and precious than what’s under your feet. 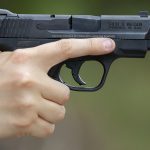 The most easily broken rule of firearms safety is placing your finger on the trigger when you’re not prepared to shoot. The only appropriate time to place your finger inside the triggerguard is when you’re ready to fire the weapon. A flying bullet doesn’t always hit its mark, and the integrity of a target’s backstop determines where the bullet stops. Imagine using a firearm to thwart an attacker inside a house. Sheetrock walls won’t stop a bullet. The projectile might pass through several walls. Another scenario faced by hunters is that a high-velocity bullet might pass through game and keep traveling. I knew a deer hunter who was struck in the leg and seriously wounded by a bullet that passed through a deer more than 100 yards from him, and more than twice that distance from the careless shooter. The bottom line: Carve these universal firearm safety rules into your mindset. Period. 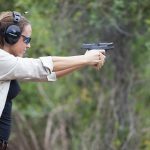 The post Firearm Safety: 4 Rules That Every Shooter Should Follow appeared first on Personal Defense World.